Own this unique item while also helping Hockey Fights Cancer. 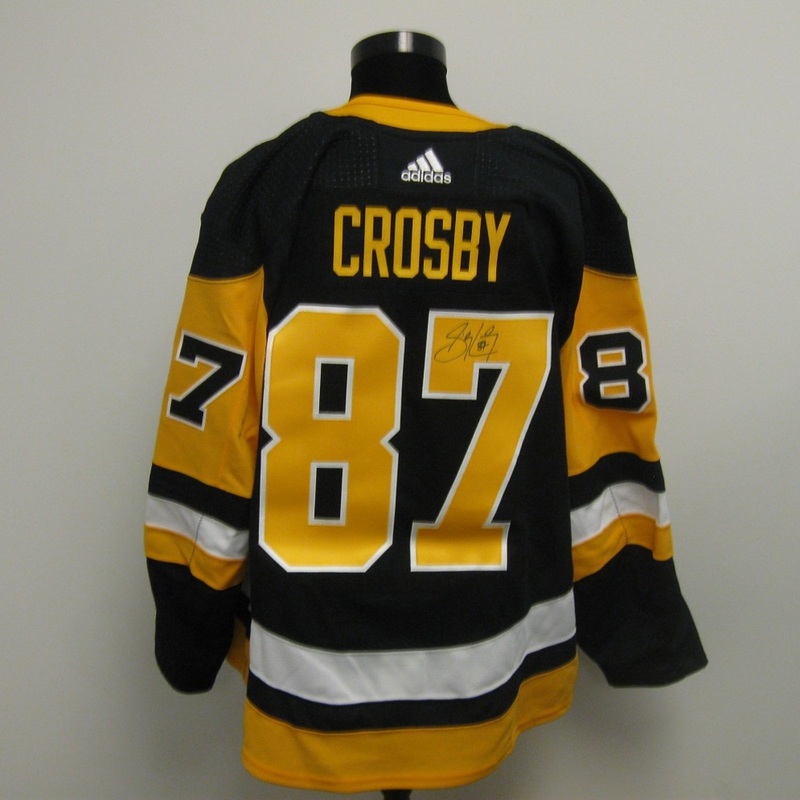 Bid now on this official Adidas Game jersey worn and autographed by Sidney Crosby of the Pittsburgh Penguins during the National Hockey League/NHLPA Player Media Tour in Chicago, Illinois September 7/8, 2018. Prior to the 2018-2019 NHL Season, current NHL Stars spent 2 days in Chicago meeting with media, posing for pictures and shooting footage to be used during the upcoming season. During these two days, players wore these specially created game model jerseys for both on and off ice shoots with footage to be used throughout the 2018-19 NHL Season. 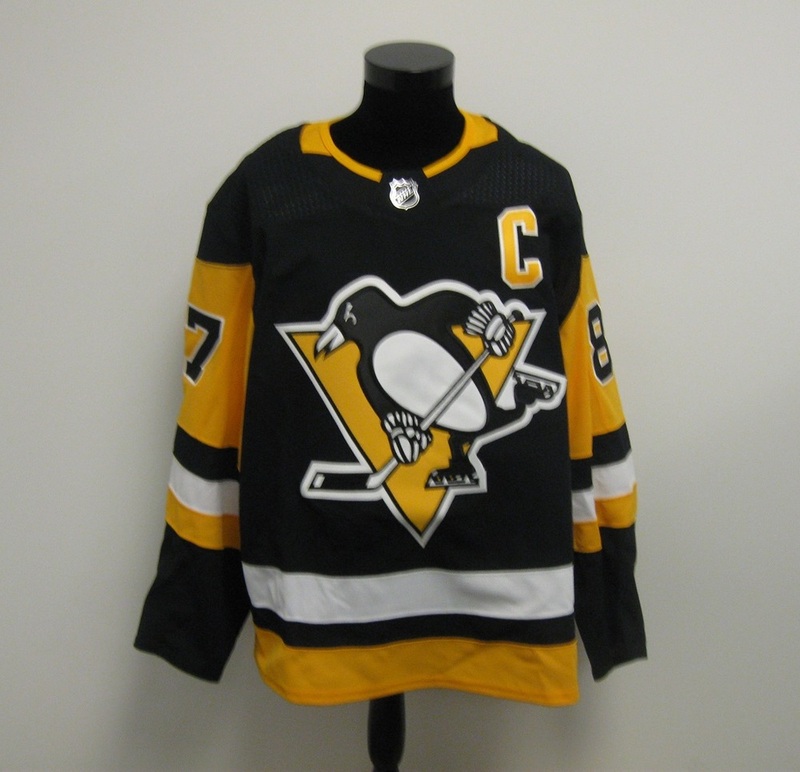 This jersey, was worn by Sidney Crosby of the Philad during the National Hockey League/National Hockey League Players' Association Player Media Tour in Chicago. It was then autographed by Crosby. A portion* of the proceeds from this auction will benefit Hockey Fights Cancer. Hockey Fights Cancer was founded in 1998 by the National Hockey League and the National Hockey League Players' Association. Since its inception, the Hockey Fights Cancer programs of the National Hockey League Foundation (in the US) and the NHL Foundation (in Canada), along with NHL® Clubs, supports and fans, have donated more than $18 million to support the cancer programs of national and other cancer research institutions, children's hospitals, player charities and local charities. On behalf of the NHLPA, NHL and Hockey Fights Cancer we would like to thank you for your generous participation and support of this worthy cause. * 93% of the gross proceeds of each sale under this auction will be donated to the National Hockey League Foundation toward the Hockey Fights Cancer initiative. The National Hockey League Foundation, located at 1185 Avenue of the Americas, 15th Floor, New York, NY 10036, is a US private foundation that is exempt from Federal income taxation under section 501(c)(3) of the Internal Revenue Code of 1986, as amended. A copy of the latest annual report can be obtained from the National Hockey League Foundation or from the Office of the New York Attorney General by writing the Charities Bureau, 120 Broadway, New York, NY 10271. The National Hockey League Foundation has made contributions to other organizations, and a list of all organizations that have received contributions during the past twelve months may be obtained from the National Hockey League Foundation. A charitable donation receipt will not be issued by the NHL Foundation (the Canadian foundation). Canadian residents who purchase a 2018 National Hockey League/National Hockey League Players' Association Player Media Tour jersey may not be entitled to a charitable donation tax credit or deduction in respect of such purchase for Canadian federal income tax purposes and should consult their own tax advisors with respect to any Canadian tax implications of their purchase. NHL and the NHL Shield are registered trademarks and Hockey Fights Cancer name and logo and NHL Alumni are trademarks of the National Hockey League. ©NHL 2018. All Rights Reserved.